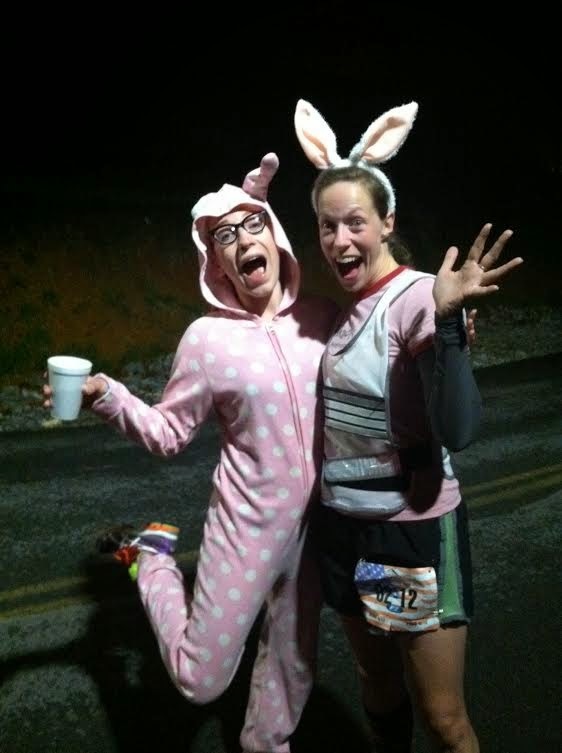 Now that I've learned and shared with you what I'll do differently for my next relay race, I thought I'd relive some of my favorite parts of racing for 30.25 hours straight - and some photographic evidence. Eating anything I wanted because I'm RUNNING. 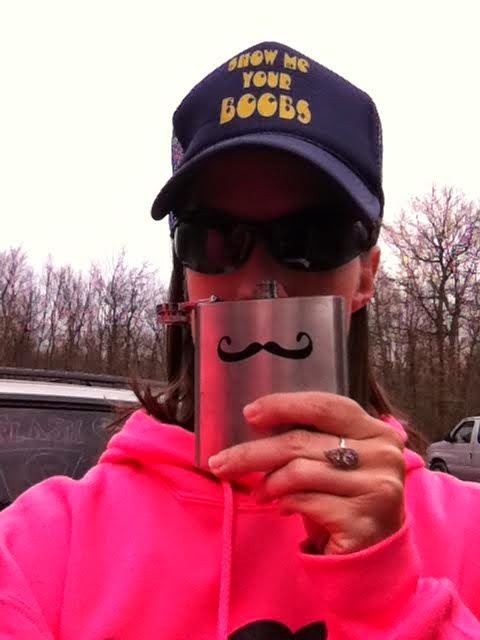 Having the best excuse ever to use my mustache flask. Drawing mustaches and other things that shall not be named on our van (too bad the rain washed it all off just 30 minutes later). 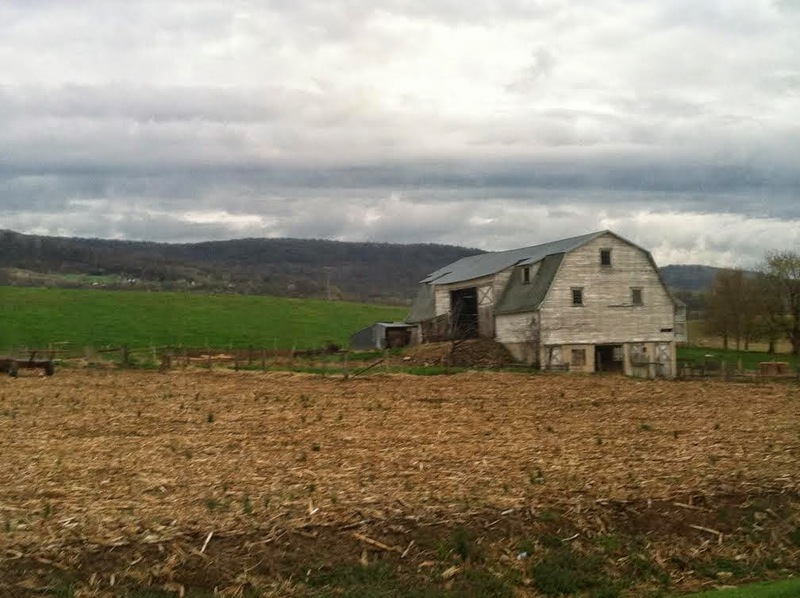 Enjoying the gorgeous rural countryside - fields, cows, and civil war battlefields. Not too shabby, although sometimes the smells weren't fabulous. Running at 3:30 am in pitch darkness (except for the safety lights of a couple of runners ahead of me and the occasional car headlights) from Maryland into West Virginia. The stars were absolutely brilliant. So were my bunny ears. Beer after the 3:30 am run. Seeing a waning crescent moon appear just before sunrise over an open field while everyone else slept (except our wonderful driver, Liz). A cup of piping hot black coffee at 8am after a 2-hour snooze inside the van. And Thin Mints for breakfast. Hanging out at transitions along the gorgeous C&O Canal. 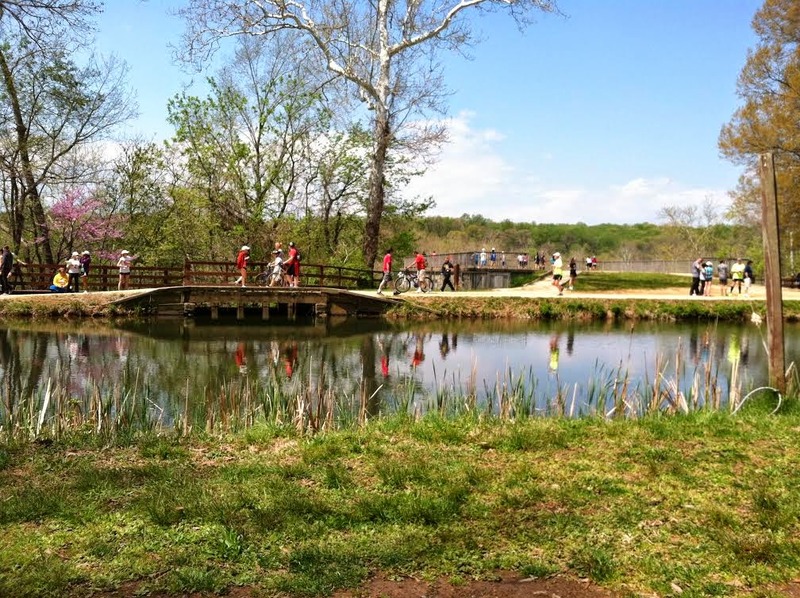 Running along the C&O Canal just outside of DC while wearing bunny ears (yes, still) and getting bewildered looks from other runners and bikers. Seeing the rest of the awesome Stash Mob team at the finish line and crossing it together. Our way-too-with-it team captains have already registered the team for next year's race. This gives me plenty of time to plan for fabulous costumes and headgear for next time. I can't wait.